Residents and staff at Dawson Lodge care home have been for a picnic in Royal Victoria Country Park and to visit a special exhibition in Southampton. 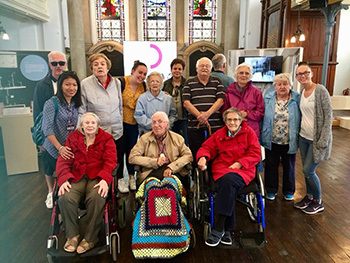 A group from the home took a minibus trip to see an exhibition held at Royal Victoria Military Hospital today and enjoyed the sunshine with a picnic in the park together. Find out more about Dawson Lodge here.